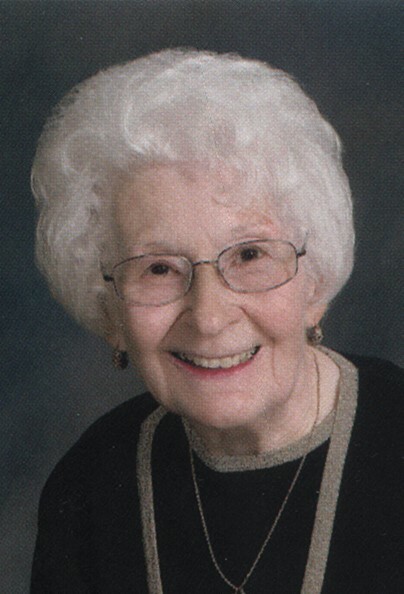 Eleanore B. Sabo died of natural causes at the age of 94 on Sept 5, 2018 in Miami, FL. She was born in Congo, OH on January 23, 1924 and moved to Fairport Harbor one year later. Her parents were John and Julia Tirpak. Eleanore graduated from Harding High School in Fairport Harbor with the class of 1942 and was a lifelong member of St. Anthony of Padua church. Eleanore spent many years doing community service, starting as a Nurse’s aide at the Lake County Memorial Hospital during WWII. She was also a charter member of the Fairport Harbor VFW Ladies Auxiliary. Eleanore was an active member of the Fairport Harbor Mardi Gras for 56 years and was elected the first female President of the organization in 1971. The Fairport Harbor Men’s Civic Club presented her with the club’s distinguished service award, an honor regarded as one of the most coveted in the community. Mrs. Sabo worked for the Diamond Shamrock Corporation Painesville Plant for 17 years and the Concord Research Center purchasing department for 7 years, retiring in 1983. In 1981, she was one of six Northeastern Ohio Diamond Shamrock employees awarded a tribute for outstanding service to their community and was selected as citizen of the year. Eleanore also represented Diamond Shamrock as a Junior Achievement advisor for several years. She served as both an officer and volunteer for the Fairport Harbor Historical Society for over 40 years and loved leading tours of schoolchildren through the lighthouse. Eleanore imparted a love for the lighthouse upon her family, who has fond memories of afternoon’s spent helping out in the gift shop. Eleanore gave selflessly and was never just a member of an organization, instead serving as an active participant. She is survived by her daughter Beverly Shapiro (Mike) of Miami, FL; grandson Zachary Shapiro (Jennifer) of Miami, FL; great grandsons, Aiden and Tyler Shapiro; and granddaughter, Amanda Shapiro of Orlando, FL. She also leaves behind two nephews, Steven Kozsey of Mansfield, OH and Randy Tirpak (Pam) of Chandler, AZ; and sister-in-law, Faye Tirpak of Coopersburg, PA. Eleanore was preceded in death by her husband, Elmer Sabo; sister, Marilyn Kozsey; brothers, John and William Tirpak; and niece, Kathy Kozsey. Eleanore spent the last years of her life knitting hats for children-in-need with her friend Jean. Her family is grateful she set such a wonderful example of how to be a loving mother and grandmother. They will miss her but know the memories will last a lifetime. The family will receive friends from 5-7pm on Friday, September 21 at Spear-Mulqueeny Funeral Home at 312 Eagle St, Fairport Harbor, OH 44077. In lieu of flowers, the family suggests contributions be made to the Fairport Harbor Historical Society, 129 Second St., Fairport Harbor, OH 44077 or St. Anthony of Padua Church, 316 5th St, Fairport Harbor, OH 44077. Funeral mass for Eleanore will be held Saturday, September 22 at 9:30 a.m. at St. Anthony of Padua Church. Burial will follow at Riverside Cemetery, 385 Riverside Dr, Painesville, OH 44077, immediately after the mass. The family would like to invite everyone back to St. Anthony’s following the burial for lunch.